Every now and then companies tell me that their mobile Web traffic is still too low for them to prioritize it over the traditional PC Web. While few can doubt that the latter is still prevalent among customers, in reality, many brands are experiencing low traffic due to the poor user experience afforded to those accessing via a mobile device. There is no doubt the World Wide Web has already started the move to mobile devices, and the shift is accelerating, with 2014 cited as the year mobile surpasses desktop Internet usage. Not having a mobile Web strategy for a consumer-facing company means you’re ultimately moving against the market and no business should be swimming against such a powerful tide as that means being left behind. So what is a good mobile Web strategy? Here are five key questions you need to answer to know if your website is mobile ready. 1: How fast does your front page download on a weak cellular network? Many companies leave website testing up to their IT department who often test sites from within a Wi-Fi network on just a handful of leading devices. But rarely do companies test their website while out and moving around through different cellular quality connections as their viewers would…until the CEO calls someone up screaming about how slow the website was on their mobile device while out of the office. More importantly, your viewers will only give you 3-5 seconds in most cases to get your page loaded on their device; get it wrong and over 79 percent of viewers say they will leave a site before download finishes. If you do have problems but your content is critical to the brand experience and campaign messaging then there are options. Using client side device detection to identify the bandwidth quality of the visitor and reduce video and image resolutions accordingly before the page even loads can have a dramatic impact on load times. Lazy loading methods can also work but give a poor user experience if they start scrolling down the page too quickly. 2: How well does your website and content adjust to different devices? The mobile landscape is diverse in terms of device screen size, resolution, and many technical features which can all have a massive impact on the user’s experience. Believe it or not some companies are still running a single PC website only to any device which is a well-documented nightmare for mobile users. Those companies that have started building mobile solutions usually do it in two ways; with dedicated site templates for mobile phones or a Responsive Web Design (RWD) strategy, where the website page changes the layout to fit a variety of screen sizes. Both are relevant approaches and you should decide which is best for you based available on resources and costs (Web professionals weigh in on the great debate here). Dedicated mobile sites can be faster and more customer centric but mean extra content management and duplicate layout and design across the screen breakpoints you define. RWD can take advantage of one design and the same content, reducing maintenance costs, but it can be costly to build and in most cases increases the load times of your website. The future of the mobile Web is likely to be a combination of the two concepts. Adaptive Web strategies use both server and client side detection to detail the user’s device and context, swapping out elements of a Responsive template and adapting to the visitor’s device and requirements. With this approach, it is possible to define different breakpoints depending on screen size and device functionality to adapt content within Responsive templates. 3. How well is your Web content meeting the contextual needs of your visitor? Similar to changing Web content to meet device size and capability, your mobile website needs to take into account the visitor’s behavior, context, and immediate requirements which can vary dramatically based on device. Someone using a smartphone at lunch to access your website via a Twitter campaign link or a search result, for example, will likely be looking to do something very different than visitors coming to your site in the evening on a PC or tablet with a strong Wi-Fi connection at home. Similarly, behavioral patterns can emerge between particular device users. For example, an iPhone 5s user may be spending more money or time on your site over Android or older iPhone version users. Knowing this detail will allow you to segment, target and track your mobile users to specific campaign content. Getting your website right will create ‘mobile moments’ which increase conversions. You’ll need a good Web analytics product with accurate and detailed mobile information to gather this detail on your visitors and build reports to track campaign results. 4. 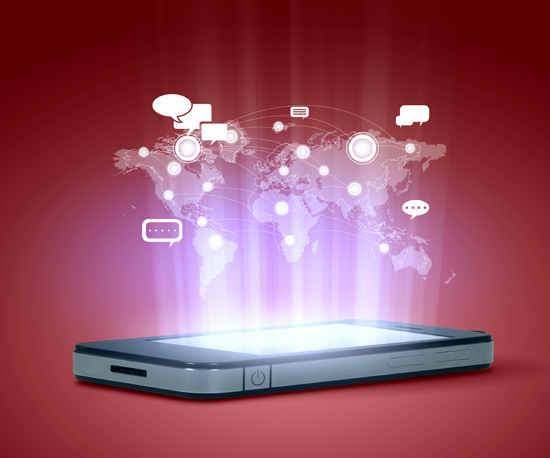 Do your mobile goals match a multi-channel visitor landscape? Mobile Web visitors are not a single pass through the customer funnel from campaign click to purchase like the traditional PC visitor. Expecting a mobile visitor to complete a single path to conversion is unrealistic. Consumers have a lot of options now and they use their devices to search, shop, talk, and share a lot of information before they make their purchasing decisions. The new multi-channel marketing strategy must take into account different conversion goals for different devices and behaviors. You may have an engagement or influencer goal for smartphones and a purchase or download goal for tablets based on your user’s behavior, as defined, by device and context. Segmenting your mobile customers and building a marketing plan to engage through their multi-channel experience with your brand requires analytics and accurate mobile device data. 5. Are your mobile Web traffic and conversions increasing month on month? Last but certainly not least, if you’ve prepared, built, tested, segmented and tracked your marketing campaigns and website for the mobile Web and your multi-channel customers as pointed out above you should be seeing an increase in overall visitors, customer satisfaction and engagement. If you build it right, they will come. If you’ve done the hard work and attracted a potential customer to your website, then you can only lose them with a poor experience that fails to take into account all of the above complexities. Daniel Weisbeck joined Netbiscuits in 2012 as Chief Marketing Officer, recently taking on the additional responsibility of the Chief Operating Officer. He is responsible for the worldwide Sales and Marketing organization, in charge of evolving all commercial aspects of the business, including the Netbiscuits product roadmap.